Twelve Loaves | "blackberry-eating in late September"
I’m not sure whether it’s a blessing or a curse that, as the semester picks up, this recipe happens to fill both of my current projects for the month of March: the Twelve Loaves assignment, and my own search term theme. It’s a blessing, in that it’s only one loaf that needs to be baked, which is certainly all I can handle in one weekend. It’s a curse, in that it means I have to come up with something else to make this month, since combining these two leaves an extra week out in the open. Still, though, it’s fortuitous in an utterly delicious way that these work together. The Twelve Loaves theme for the month is “Irish Breads,” and last year someone found my little site searching for “Irish bread with plums.” Aside from soda bread, the standard go-to Irish loaf, I knew nothing about Irish breads at all. Well, I suppose I knew about scones, but those are really British Isles in general to me, and not as specific to Ireland as I wanted to get. Barmbrack can be made both as a yeasted loaf and as a simple round raised with baking soda. I decided on yeast, since sometimes I find soda breads a bit too dense for my taste. Since this was already going to be weighed down by the fruit, I wanted to give it a good bit of lift. In either case, it’s usually a holiday bread celebrating the harvest season, and there are sometimes small treasures like rings or coins baked into it as part of a fortune-telling game (I must admit I skipped this part). I surveyed a number of recipes, and finally combined two with features I liked. Interestingly, this bread is often made with tea: the dried fruits, and sometimes candied or fresh citrus zest, are soaked in strong black tea for a few hours, or even overnight, before being kneaded into the spiced, slightly enriched dough. I didn’t have any Irish Breakfast Tea, so I gritted my teeth and chose between Earl Grey and English Breakfast. In the end, I went with the Earl Grey. I realize the reference to British politics and aristocracy might ruffle some feathers, but at least it didn’t outright have the word “English” in the name. In any case, do forgive me, and use proper Irish tea for your loaf. Because there is a lot of moisture from the fruit in this loaf, you can expect a quite sticky dough. Don’t be afraid of it, though; just add some more flour to your board and knead away. You’ll be rewarded, after two rises and the better part of an hour in a hot oven, with a deeply browned loaf studded with a rubble of raisins and prune pieces, moist and richly chewy, but with a firm and almost crackly crust. Because it is baked in a round cake pan, it rises with a glorious even dome, and just around the edge where the loaf leaves the pan, there’s a curiously lovely pale golden stretch mark encircling the bread. The Saveur recipe I borrowed from suggests, as the end of the baking time nears, brushing the top of the loaf with warm honey and then baking for an additional two minutes. I did not do this, in both an effort avoid too much sweetness and to maintain its lovely crusty exterior. If you should want to, though, they recommend ⅓ cup. Despite wolfing down a thick slice the day I baked it, N. has since forgotten about this homely little loaf, and I haven’t bothered to remind him, because that means more for me. Even after a few days wrapped in aluminum foil, the interior remains moist and rich but not too dense, and the outside stays perfectly crusty – a rugged, deeply browned layer that I’ve tried all week to think of ways to describe. “Imagine if a brown paper bag were a crust,” I said to N. at one point, but we agreed that didn’t sound particularly delicious. “Perfectly crusty” remains the best thing I can come up with, and you’ll have to believe me that it’s part of what makes the loaf worth hoarding. Perfect still warm from the oven, great at room temperature, and glorious toasted, this is good plain but revelatory with a thick pat of salted butter and, obviously, a cup of tea. * if you aren’t a prune fan, you can stick with the traditional raisins and sultanas, or test out other dried fruit options: currants would be great here, and dried cranberries or dried cherries might also be good. Dried apricots also sound promising to me along with the sultanas, provided they were quite finely chopped. Perhaps a dollop of clotted cream or even mascarpone cheese over the top of the slice wouldn’t go amiss. In a medium glass bowl (I used my 4-cup measuring cup), pour 2 cups of boiling water over 2 teabags and let steep for 4-5 minutes. Add the chopped prunes, the raisins, and the mixed zest, and let soak for at least 2 hours, or as long as overnight. When you are ready to make the dough, drain the fruit and zest in a strainer, but reserve the soaking liquid. Meanwhile, sprinkle the 2 teaspoons active dry yeast and a pinch of sugar over the warmed milk and let sit for 5-10 minutes until the yeast fizzes and foams up. Mine raised quite a dome. While you wait for the yeast, combine 2 cups of flour, the salt, the brown sugar, the cinnamon, the nutmeg, and the cloves in the bowl of a stand mixer, or another large bowl. When the yeast is foamy, add the egg and mix briefly, then pour into the dry ingredients, add 6 tablespoons of the softened butter, and mix with the paddle attachment to bring together. Mine was a bit crumbly at this point. Switch to the dough hook and knead at medium speed for 5-7 minutes until you have a smooth but slightly sticky dough. If the dough seems too dry and is just not coming together, add a tablespoon or two of the reserved tea. If it gets too wet, add flour a tablespoon or two at a time until it is a workable consistency. When your dough is smooth and elastic but still a bit sticky, turn it out onto a well-floured board (I’m not kidding). In three or four additions, knead the drained fruit into the dough. I tried this in the mixer bowl with the dough hook, but it made a huge mess. By hand with flour and a dough scraper nearby is the best strategy. With the fruit incorporated, form the dough into a loose ball and deposit it into a large bowl you’ve buttered with 1 tablespoon of the remaining softened butter. I used the stand mixer bowl; you don’t even have to rinse it out in between. Cover the bowl tightly with plastic wrap and set aside to rise for 1-1½ hours, until nearly doubled. Punch down the risen dough by depressing your fist gently into the center; the dough will spring back only slightly. Turn it out onto a floured board and knead lightly 2 or 3 times, then shape it into a tight ball and position it in an 8-inch cake pan, which you’ve buttered with the last remaining 1 tablespoon of softened butter. Drape lightly with plastic wrap and let rise another 30-60 minutes. Mine was ready to go in 45 minutes. About 30 minutes before you are ready to bake, preheat your oven to 400F with a rack in the middle position. When the loaf fills the pan and is nicely domed, remove the plastic wrap and carefully place in the oven to bake for 35-45 minutes, until the bottom sounds hollow when thumped, or an instant-read thermometer measures 180-200F. If you wish, now is the time to remove from the oven, brush on the ⅓ cup warm honey, and return to the oven to bake an additional 2 minutes. I skipped this because I wanted the crust to stay, well, crusty. Let cool in the cake pan at least 10 minutes, then turn out onto a wire rack to cool an additional 20 minutes before cutting into unapologetically thick slices, slicking thickly with butter, and eating alongside a strong cup of tea. N. and I first discovered Panera when we were living in Eugene. This seems a bit counterintuitive, since Eugene doesn’t have any Paneras. But on a visit or two with my parents, and N.’s parents, it became an easy place to pick up lunch, or a dinner for a sunset hike, and I was quickly sold on their vegetarian sandwich, not just because it came layered with pickled red peppers and fresh greens and spicy spread and crumbled feta, but because the bread it used – a fluffy tomato and basil flavored loaf with an intriguing, slightly sweet streusel across the top crust – was addicting. When we could, N. and I started buying a whole loaf of the bread on our last day in California, to take home to Eugene with us. Now that we are in Los Angeles, there are Paneras everywhere (in fact, I just checked: there are at least five within a 5 mile radius of our house). Despite that proximity, though, we don’t go there very often. There are several reasons for this, but mostly, if I’m going to spend my money on restaurant fare, I’m going to explore what Los Angeles has to offer rather than a national chain. Regardless, the tomato basil bread, with that intriguing streusel, remains a favorite of mine, and when “red” was declared as February’s Twelve Loaves theme, I decided this was the right time to try a little re-creation attempt. My bread combines lush, densely flavored scarlet tomato paste with a generous dusting of dried basil. The loaf itself is moistened and sweetened with buttermilk and molasses, and though it does bake up more orange than red, it makes perfect sandwich slices for cucumber and mozzarella, or pesto chicken, or just well-buttered toast. The challenge here was the streusel. There are a number of “copycat” recipes out there for Panera’s loaf, but few of them make any attempt at the dark, sweet, sticky crumble adorning the top crust. I finally found a suggestion for a glaze made from tomato paste and brown sugar, thinned with a little water, and brushed over the top of the loaf. Since my first attempt was a little heavy on the tomato paste in the dough itself, reserving some for the top seemed like a smart adjustment. It did look a bit distressingly like a meatloaf with the traditional ketchup coating when I first applied the glaze, but the flavor of the finished product was strikingly similar to my inspiration. Panera’s loaf is scored straight down the center so that the top crust puffs and pulls away from itself in two fat rounds, leaving the top of a slice looking almost heart shaped. I decided I wanted to try something new, so I went for a twist instead, separating my dough into two sluggish, sticky logs and wrapping them around each other before depositing into a loaf pan. A second rise, a glaze, and a quick 40 minutes in the oven, and I was rewarded with a loaf that, despite not being truly red, may be as close to the original as I’ll ever get. The interior is tender and chewy and springy, and the glaze hardened into gleaming sticky shellac (though it loses its crustiness as it sits). The tomato and basil flavor are both easily discernible, and the combination of tomato paste and brown sugar burnishing the top crust is just the right toasty sweetness, since despite the molasses, the bread itself is fairly savory. Because the dough is pretty sticky, the loaf is moist and tender, which also means it’s a bit delicate. Take care when slicing into it, and be sure to give it at least half an hour to cool before attempting a slice at all. Conveniently, we found we liked the flavor better once the bread had cooled completely. As noted above, the glaze resorts to stickiness after a few hours, but it is still quite tasty, and will “crisp” up again just slightly after a trip through the toaster. Slicked with salted butter, it makes a perfect accompaniment to lesson-planning on a blustery afternoon. In a 2-cup glass measuring cup, combine the cold buttermilk and the boiling water. This creates a yeast-friendly temperature without having to wait for the buttermilk to warm up. Stir in the molasses and the yeast, and let sit for 5-10 minutes until the surface of the mixture foams up and it smells bready. While the yeast is working, combine 3 cups of the flour with the salt and basil in a large bowl. I use the bowl of my stand mixer. After the yeast has had a chance to wake up and is foamy, add the liquid slowly to the flour mixture and mix on low with the paddle attachment (or with a wooden spoon) to combine. Scrape in the tomato paste and again, mix just to combine. 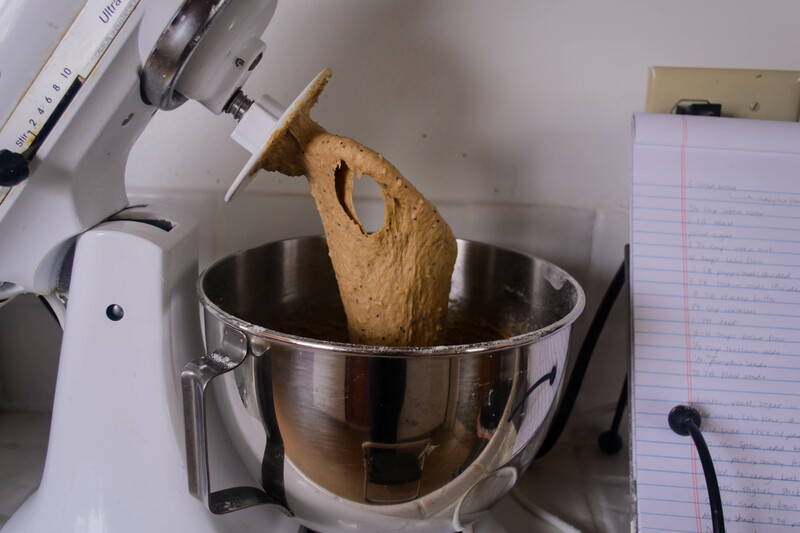 Now, if you are using a stand mixer, switch to the dough hook. 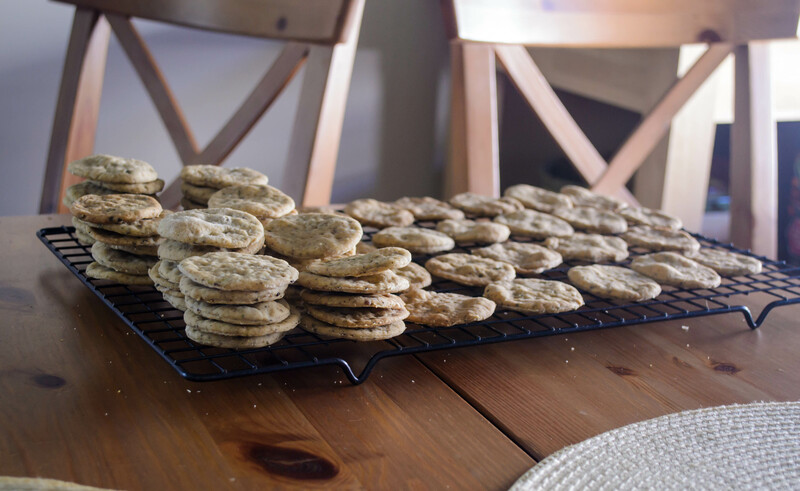 If you are not using a stand mixer, turn out onto a well-floured board. Knead at medium speed for 5-7 minutes, adding in more flour if needed ¼ cup at a time, until the dough pulls away from the sides of the bowl and takes on the consistency of soft, sticky play-dough. Oil the inside of your work bowl (I use a non-stick spray), turn the ball of dough over inside a few times to coat it evenly, and then cover the bowl tightly with plastic wrap and stow in a slightly warm spot for 1½-2 hours, until almost doubled. Once the dough has risen adequately, punch it down by gently depressing your fist into the center to release the air, then let rest about ten minutes to get its breath back. Meanwhile, spray or butter a standard loaf pan. 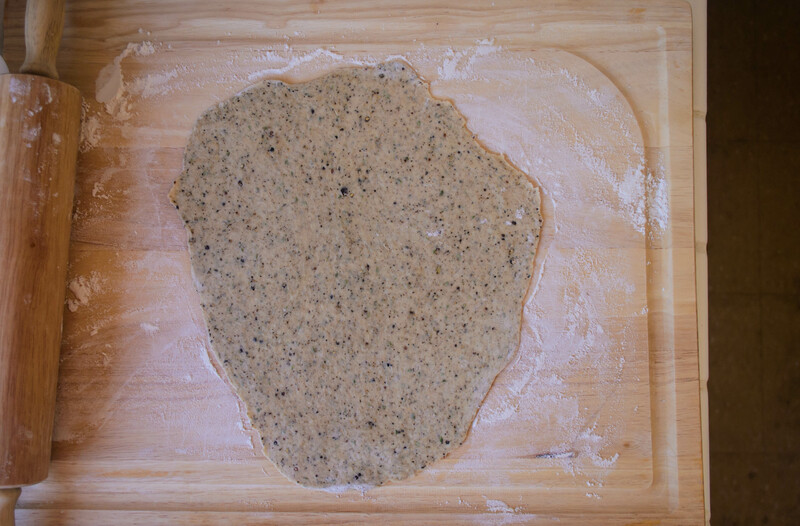 Turn the dough out onto a lightly floured board and divide it into two equal portions. Roll each half out into a pudgy log about 9 inches long. Pinch one end of each log together tightly to connect, then create a twist by lifting the left strand over the right, then repeating (because now what was the right strand will be the left one) until you come to the other end of each log. Pinch these remaining ends together tightly, then tuck underneath the twist you’ve created and gently place it in the prepared loaf pan. Cover lightly with plastic wrap and set aside to rise again for 45-60 minutes. About 30 minutes before you put the dough into the oven, preheat to 350F, and make the glaze by combining the remaining 2 tablespoons of tomato paste, 3 tablespoons of brown sugar, and 1-2 tablespoons of hot water to thin to a barely pourable glaze. When ready to bake, remove the plastic wrap, brush the glaze over the top of the loaf in a thin layer, and gently slide it into the preheated oven. Bake 35-40 minutes, or until the interior tests 180-200F on an instant read thermometer. Cool at least 10 minutes in the loaf pan, then turn out onto a wire rack and cool at least 20 minutes more before slicing and eating. We found the flavor was better once the bread had completely cooled. 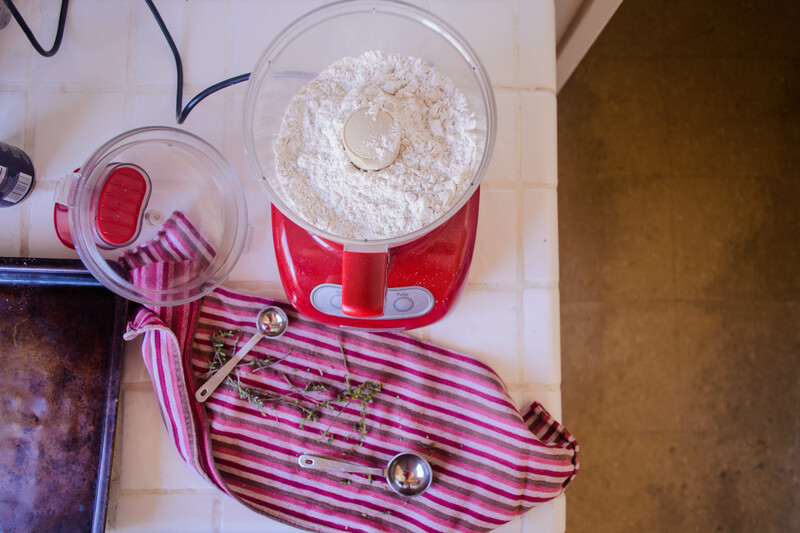 This month we’ll be baking breads with a RED theme in honor of National Heart Month, Valentine’s Day, and the Oscars (red carpet) – any red ingredient goes! 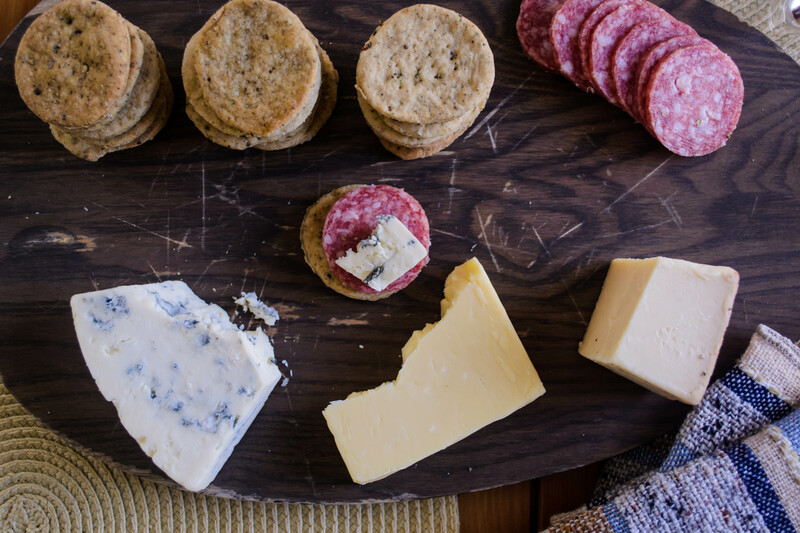 For more bread recipes, visit the #TwelveLoaves Pinterest board, or check out last month’s mouthwatering selection of #TwelveLoaves enter last month’s breads featuring a “new to you” type of flour! Last week the Twelve Loaves bakers turned out an impressive collection of holiday breads. I had my plan in place, but as I noted on last week’s cheat entry, holiday weekends ironically don’t always allow for baking projects. Now that I’ve had an extra week to get myself in order, I can show you what I intended to contribute: tiny sweet rolls, one to two bites for easier consumption, threaded through not with the classic pairing of cinnamon and brown sugar, but a more complex combination of spices drawn from the wonderful, warming blend that is masala chai, or chai tea. It’s not a traditional holiday bread, but the layering of slightly spicy flavors in chai has always reminded me of gingerbread. By the power of association, then, here we are. 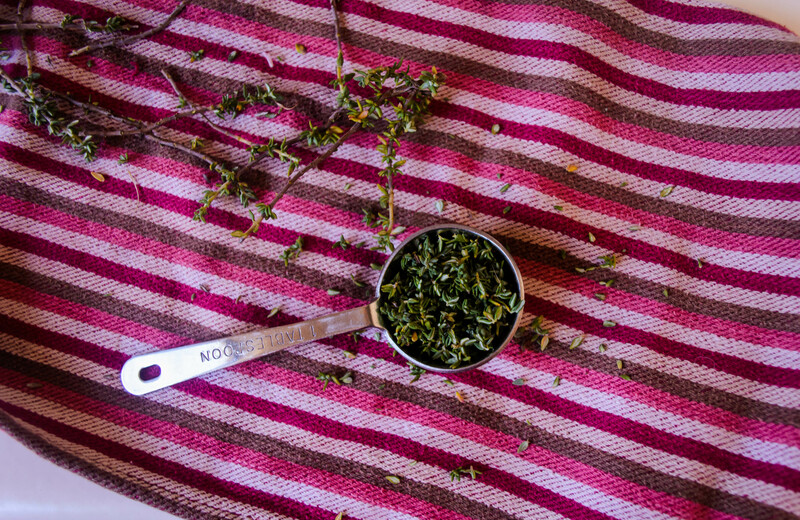 Like many spice mixtures, chai does not have a set blend – many warm notes are added to the black tea leaves to produce the complex, slightly spicy flavor. Cardamom plays a dominant role, and cinnamon, ginger, and black peppercorns are usually present as well. Star anise contributes a subtle licorice note, and cloves and fennel also sometimes make an appearance. 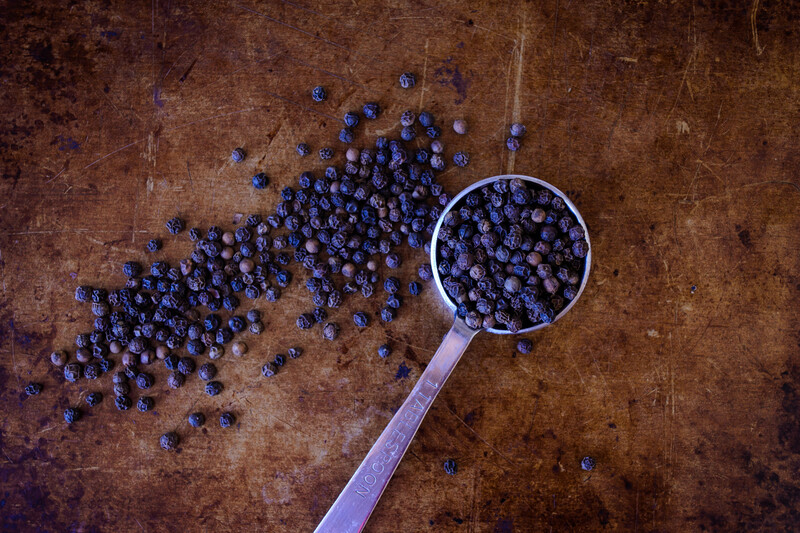 For mine, since I used standard aniseed instead of the more traditional star anise (sometimes the grocery store is out and you’re too lazy busy to walk down to the Indian market), I omitted the fennel – a breath of licorice flavor is more than enough for me. Balancing these strong spices can be a tricky task – I wanted my blend to lead with the sweeter cardamom and cinnamon, and be backed up by the depth of the cloves and aniseed. The black pepper and ginger should be subtle – a warming heat rather than aggressive spiciness. I used my Nana’s sweet dough recipe for the base here, amping up the butter a bit and adding an extra egg, but I substituted honey for the sugar the original recipe calls for, since my favorite chai blend incorporates it. 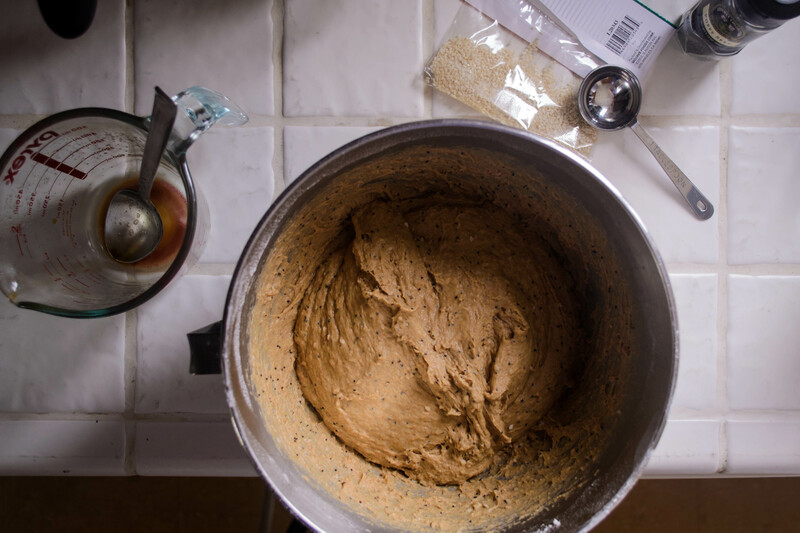 The floral notes of the honey make for a slightly more flavorful dough. A splash of vanilla, too, plays well with the spices and the honey. Many cinnamon rolls are dripping with melted brown sugar and pack a sugar-overload punch that can get you through an entire crowded mall and its parking lot at Christmastime before you come down from your high. These tiptoe a bit more subtly into the holiday air. They are sweet, yes, but tempered. The spices come through, but you can still taste the honey and vanilla in the dough. These would be perfectly fine on their own – in fact, N. and I bull-dozed through three of them quite unadorned when we did our quality control test, but I can’t help feeling, since they are inspired by a call for holiday breads, that a little excess is needed. A cream cheese frosting, then, lightly sweetened with honey and vanilla, seemed appropriate to smear over the top. And lest it begin to feel too heavy, a scattering of finely chopped crystallized ginger or orange zest brightens them up so you can almost – almost – get away with calling them breakfast. In a 2-cup glass measuring cup, warm the milk to just about body temperature (when you dip your finger in, it should feel neutral or barely warm). Sprinkle in the pinch of granulated sugar and the active dry yeast, stir briefly, and set aside to bubble for about 10 minutes. In the bowl of a stand mixer, use the paddle attachment to combine the honey, vanilla, eggs, and softened butter. Once the yeast and milk mixture is bubbly and smells like bread, add it to the other wet ingredients and combine. Now add 2 cups of the flour and the salt, and mix with the paddle attachment until evenly moistened. Switch to the dough hook and knead on medium speed for about 5 minutes, adding more flour ¼ cup at a time if the dough seems too wet. I used just over 2 ½ cups of flour. When adequately kneaded, it will be the consistency of slightly sticky play-dough. Spray or oil the inside of your bowl with non-stick spray, turn the dough ball over to coat it, and then cover the bowl with plastic wrap and set it aside, preferably in a warm place, to rise until doubled: 1 ½ – 2 hours. While the dough rises, prepare the filling ingredients. Melt the butter, measure out the brown sugar, and combine the cardamom, cinnamon, ginger, star anise, black pepper, and cloves in a small dish. This is also a good time to butter or grease two round 9-inch cake pans. After the dough has doubled in size, punch it down by depressing your fist into the center to release the air, then let it rest for 5-10 minutes. This will make rolling much easier. 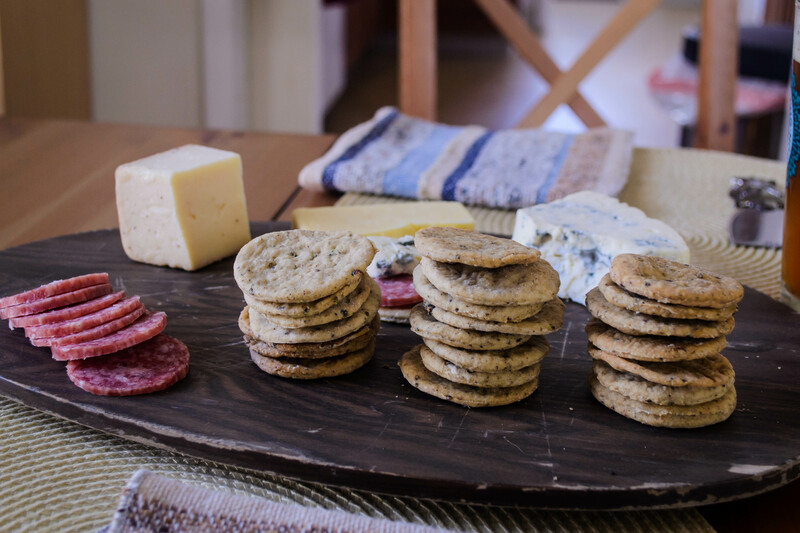 Turn it out onto a floured board and cut in half with a dough scraper or a sharp knife. Return one half to the mixing bowl and, with a floured rolling pin, roll out the other as thin as possible without tearing, or at least to a 12×16 inch rectangle. If it seems sticky, use a dough scraper to release it from the board, sprinkle a little flour underneath, and rotate the dough 180 degrees before rolling again. Smear your 12×16 inch (or bigger) rectangle with melted butter, then crumble on half of the brown sugar in an even layer. Sprinkle on a heaping tablespoon of the chai spice mixture, then use your fingers to spread the spices and sugar evenly over the surface, leaving a ½ inch border on one long edge of the dough. This will be the end of the roll. Starting in the middle, begin rolling up the long edge of the dough (opposite the side on which you left the border), moving outward to the edges and trying to keep the roll even. You want to roll this tightly – the tighter the roll, the better it will stay together when sliced. As you get to the end of the roll, start to stretch the edge on which you left the border up over the existing roll, pinching it lightly into the roll to adhere. When finished, you should have a long, skinny log only an inch or two in diameter. To slice, use a serrated knife and saw back and forth applying as little pressure as possible. Slice the long log into 1-inch segments, and position each cut side up in one of your prepared 9-inch cake pans, spacing them slightly to give them room to puff. Cover the filled cake pans with plastic wrap and let rise for 45-60 minutes until doubled again, or, if you are short on time, stow them in the refrigerator overnight (bring to room temperature before baking). 30-40 minutes before baking, preheat the oven to 375F. When the little sweet rolls are puffed and ready, remove the plastic wrap and bake until pale gold on top and just barely set in the middle: 10-12 minutes. While the rolls cool, make the frosting. Use a handheld electric mixer, or a stand mixer with the whisk attachment, to blend together the cream cheese, honey, and vanilla until fluffy. This will take 1-2 minutes, and at first the cream cheese will get clumpy and look separated – don’t worry! Just keep mixing and it will come back together. If it seems too thick, dribble in 1 tablespoon of milk and mix again to desired consistency. When the rolls have cooled, spread on the cream cheese frosting using a small rubber or offset icing spatula. If desired, top each with a spare sprinkle of finely chopped crystallized ginger or grated orange zest. Growing up, my sister and I ate a lot of reasonably healthy food. Mom wasn’t the “crunchy granola type,” especially not by the time my sister showed up, but her waffle recipe involved wheat germ, and my lunchtime sandwich bread always had a measure of whole wheat in it. When I got a little older, it seemed like the more seeds and nuts a loaf contained, the more likely my mom was to buy it. Nine grains? Hearty nuts and seeds? R. and I wouldn’t always eat it, but it was probably in our freezer. Thus I felt a certain fondness when I started to consider this month’s Twelve Loaves assignment of seed breads. 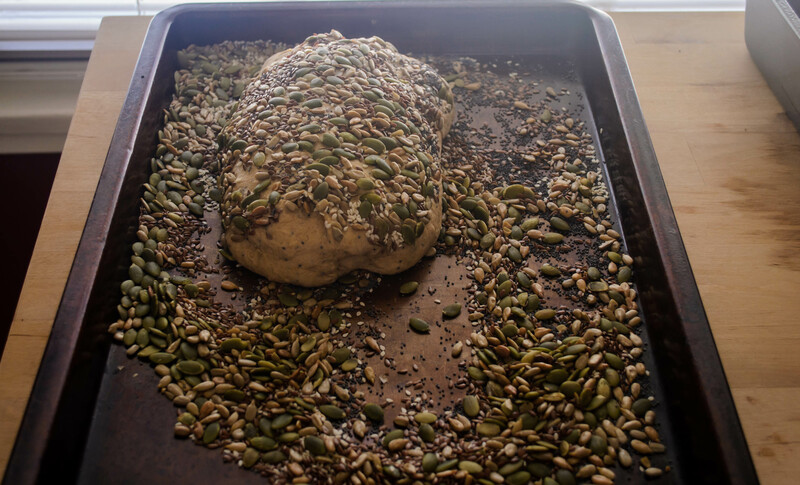 I knew I wanted multiple seeds, and I knew I wanted them on the inside and outside of my loaves. A bit of internet research led me to Suzanne’s lovely little site Flour Arrangements, and even if she hadn’t had a great seeded loaf recipe to work with and adapt, I would have been enticed by her blog’s clever title (not the mention how many great sounding loaves she’s made – I can’t wait to adapt her multigrain pumpkinseed loaf as the weather cools – I’m thinking of adding some pumpkin puree and rye flour, and maybe some oatmeal). I kept her recipe mostly the same, only replacing oil with butter and adding a few additional seeds for a total of five: sesame, poppy, sunflower, pumpkin, and flax. I’ve been baking mainly sourdough loaves lately, trying different ratios of starter and flour, comparing notes with S. about various stirring or folding techniques instead of kneading the dough, tipping in just enough whole wheat flour to make a nutty loaf that isn’t too dense, and getting used to long, slow rise times and overnight rests in the refrigerator to develop a tangier sour flavor. Imagine my delight, then, when my bowl of dough, bolstered by its full tablespoon(!) of yeast, agreeably puffed enough to press against its plastic wrap lid in a little over an hour. Not only that, but after carefully pressing and rolling the lovely tight loaves I’d formed through a jumble of seeds, they swelled again in their pans to triumphant heights. Sourdough is delicious and tends to be my go-to for everyday toast, but it is an exercise in patience and in long-term benefits. These loaves, though they do require two rises, expand so eagerly it feels like a reward for a job well done. And really, these are a reward. Yes, the seeds you’ve so carefully pressed into the surface of the dough go everywhere – when you turn the baked loaves out of the pans, when you slice into them, when you bag and store them – but those that stay affixed offer a really nice set of flavors and textures. The heat and time in the oven toasts and crisps them lightly, and the flax seeds in particular take on a roasted taste and a slippery crunch I find incredibly appealing. And that’s just the surface. Inside, the crumb is tender and light and barely sweet, as soft as a commercially made pre-sliced loaf, but with the hearty, toasty, wholesome feel and flavor that comes with homemade. 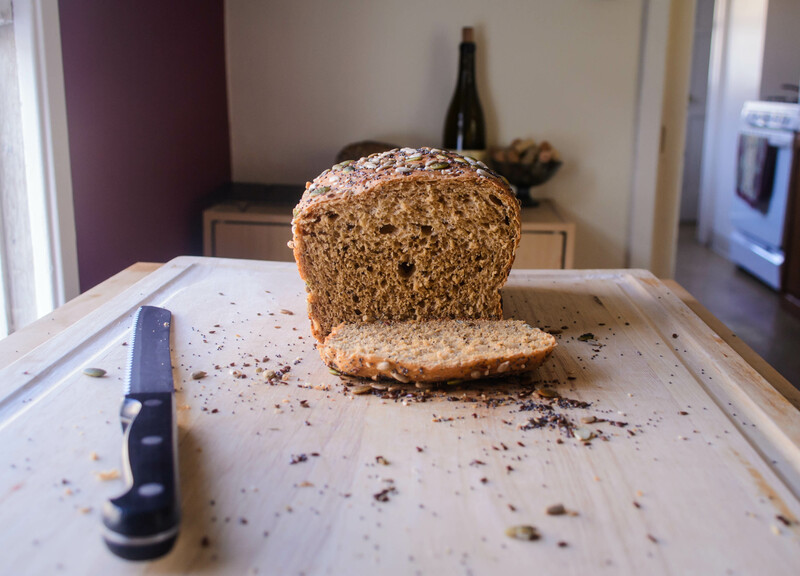 You could certainly trade out the seeds here if you wanted – caraway would give a stronger anise-y feel, tiny nigella or black onion seeds would make for a more savory flavor, maybe good for meat or tomato based sandwiches. But I am devoted to sweet breakfast toast, and this bread, toasted or not, welcomes salted butter and cinnamon sugar so nicely I must admit I never explored beyond that combination. In the bowl of your stand mixer, or in a large bowl if you aren’t using a mixer, combine the warm water with the yeast and the pinch of sugar. Stir and let it sit for about 10 minutes until the mixture smells bread-like and the yeast has foamed up a bit. Add the milk, whole wheat flour, butter, molasses, and salt to the yeast mixture. 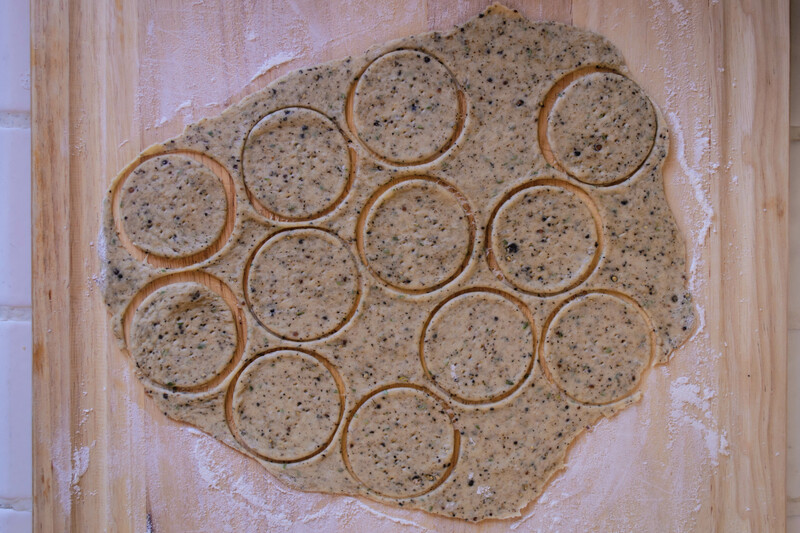 Add two tablespoons each of the poppy seeds and sesame seeds. Mix with the paddle attachment or with a wooden spoon until well combined. 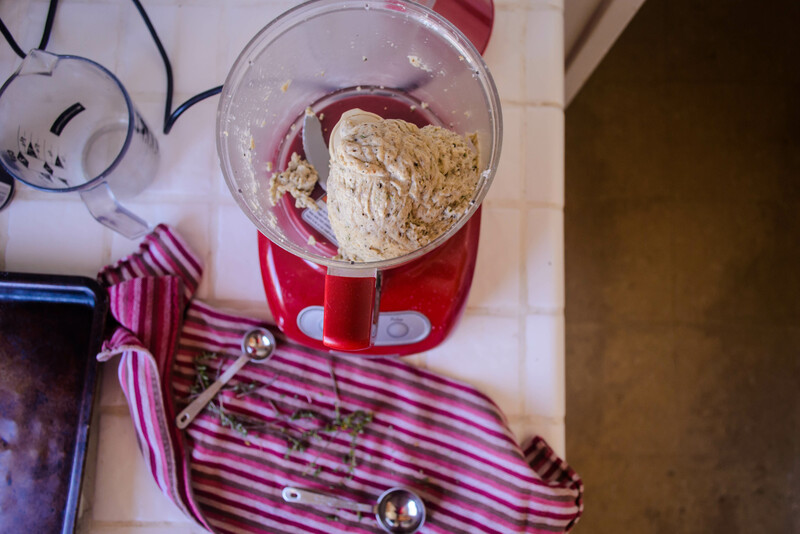 With the mixer running on low speed, add the bread flour ½ cup at a time until you have a soft dough that pulls and tears away from the sides of the bowl. 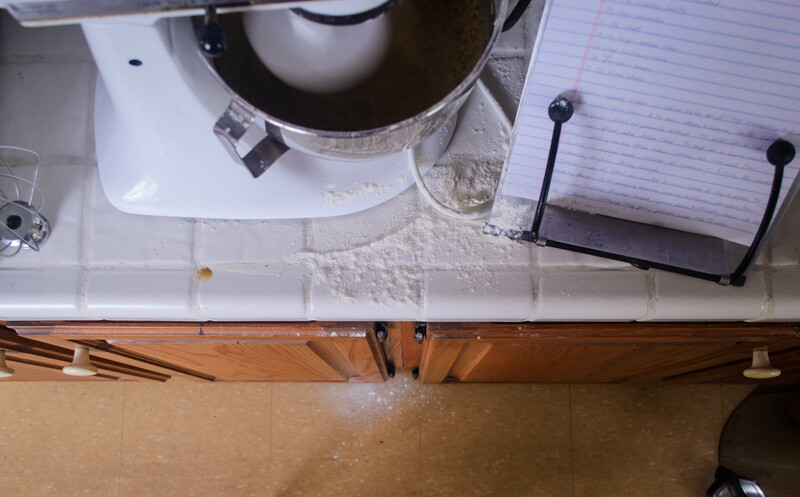 I needed all 4 cups of the flour, as it was a bit humid in my kitchen – you might need less depending on the day. If you are using a stand mixer, switch to the dough hook. If you are mixing by wooden spoon, now is the time to turn the dough out onto a floured surface. Knead on medium speed for about 5 minutes if you are working by machine, or about 7-8 minutes by hand, to form a smooth and elastic but still sticky dough. It will still droop and pull when you stop kneading, not sit firmly in a cohesive ball. That’s okay. This ensures a more tender loaf. Lightly grease the sides of a large bowl (I just use the stand mixer bowl; you don’t even have to clean it out) and position your dough in the middle of it. Cover tightly with plastic wrap and let it rise until doubled – 1½-2 hours, depending on how warm your house is. 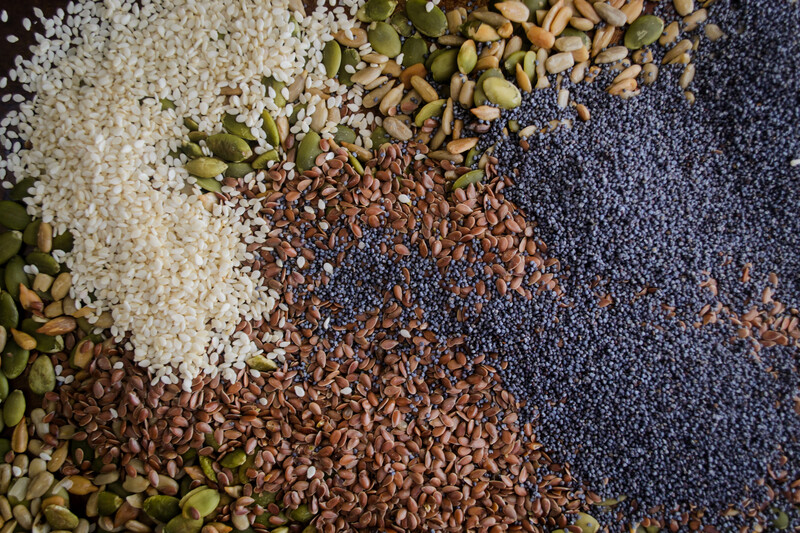 As the rising period nears its end, combine the remaining 3 tablespoons poppy seeds, 3 tablespoons sesame seeds, and the sunflower, pumpkin, and flax seeds on a baking tray. Butter or grease two 9×5 inch loaf pans and set aside. Punch down the risen dough to release trapped gas by gently depressing your fist into its center, then turn it out onto a very lightly floured board (too much flour and the seeds won’t stick). 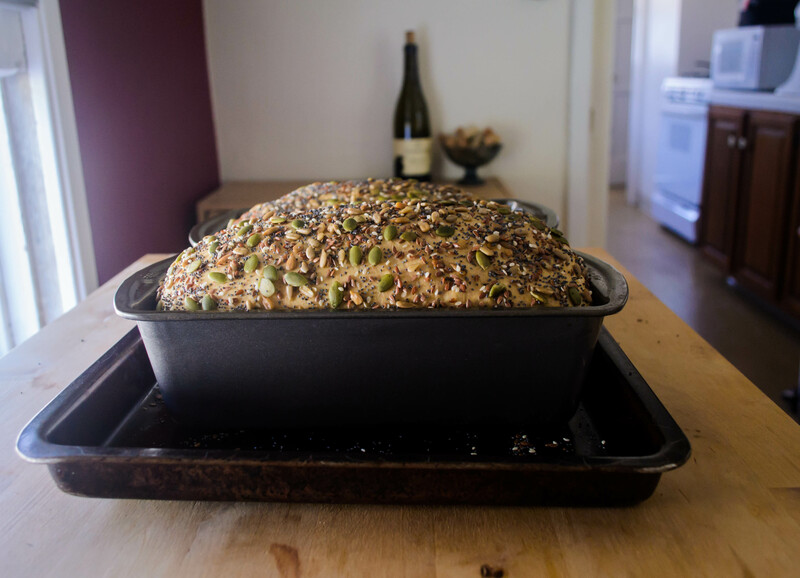 Divide the dough in equal halves, shape into tight loaves and roll each one in seeds, turning to coat the ends, or just pushing a palmful of seeds against the ends of the loaves. Set the seed-coated loaves gently in the prepared loaf pans, pat remaining seeds on top and drizzle down into the corners. Drape lightly with plastic wrap and let rise again for about 45 minutes, until doubled once more. They swell beautifully. About twenty minutes before the rising period ends, preheat your oven to 375F. When the loaves are fully risen, remove the plastic wrap and place them gently into the oven to bake for 30-40 minutes. To test for doneness, either use a digital thermometer and check for a temperature between 180-200F, or thump the bottom lightly for a hollow sound. Cool loaves in pans at least 20 minutes, then turn out onto wire racks to cool completely before slicing. 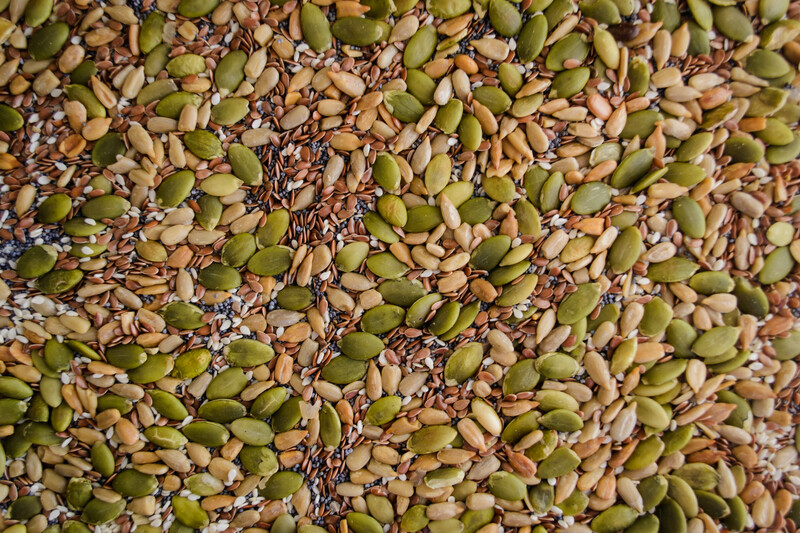 At all manipulation, seeds will scatter everywhere, but the flavor and texture are worth the mess. 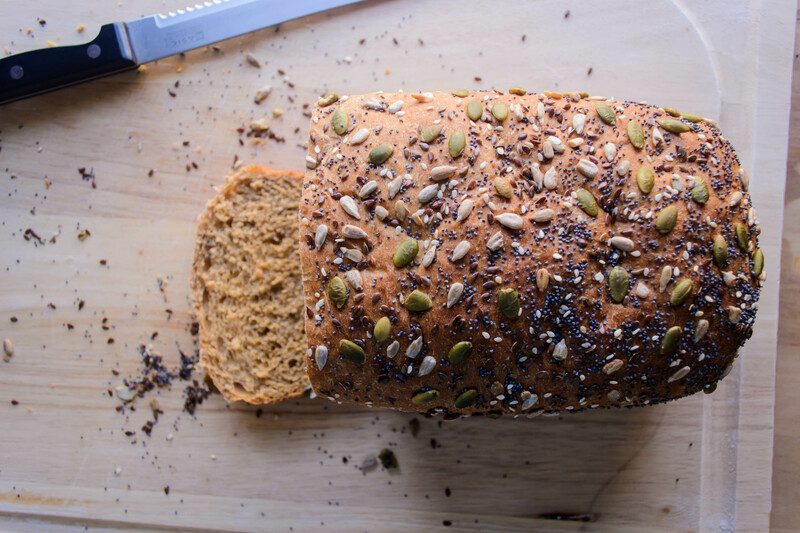 If you’d like to bake along with us this month, share your Seed Bread using the hashtag #TwelveLoaves!